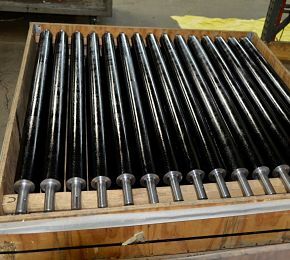 Mid American Rubber is a leading supplier of precision rubber rolls for all types of industrial processing including Film & Foil, Packaging, Laminating, Coating, Conveyors, Wood, Glass, Plastics, and other custom applications. 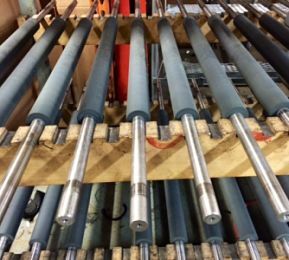 Mid American Rubber recovers drive rolls for several manufacturers including Folding Bleacher, Hussey, Irwin Seating, Interkal, BR Bleacher. 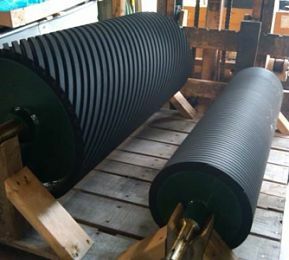 As components of roller conveyor systems, conveyor rollers are used to form roller beds and transport materials from one location to another. We can offer Food Grade rubber compounds and durometers for various food processing, medical, or pharmaceutical applications. Used to remove contaminates from surfaces, glass washer rollers are used in plate glass washers and glass-processing equipment. 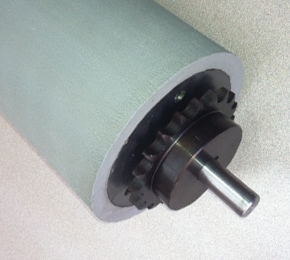 Our products include rubber rollers for Benteler and Billco Manufacturing glass processing equipment. The M31 tag rolls used in a JR Wald Numeral Coating Machines apply ink to the embossed portions of license plates for automobiles, trucks, and motorcycles. 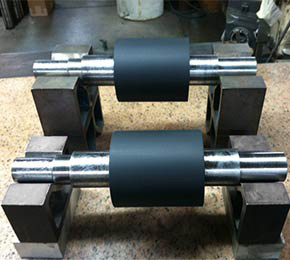 Mid American Rubber strips and recovers used rolls to meet the manufacturers’ specifications. 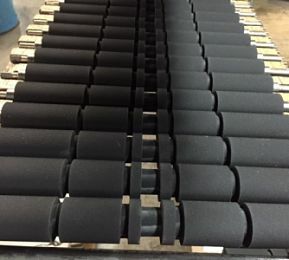 Mid American Rubber manufactures new and recovered packaging rollers for use in food, pouches, plastic film, health and beauty, and pharmaceutical industries. Mid American Rubber offers a number of highly abrasion-resistant roller coverings required for plastic processing applications. Pelletizing machinery including Bay Plastics Machinery, Conair, Cumberland, etc. 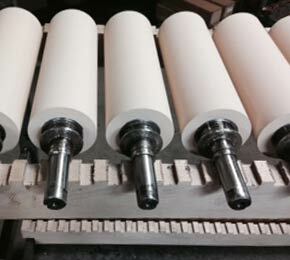 and can offer complete repair services for your pinch, pull, feed, and drive rollers. Our precision machinery can hold and repeat any close outside diameter tolerance required for your process machinery. 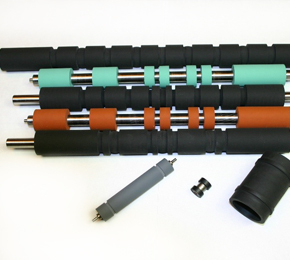 Mid American Rubber specializes in Original Equipment Manufacturer (OEM) applications. Our skilled and experienced engineers can assist with designs from drawings and sketches to achieve your specifications. We can manufacture a prototype for testing to ensure the prototype meets your requirements and our quality exceeds your expectations. 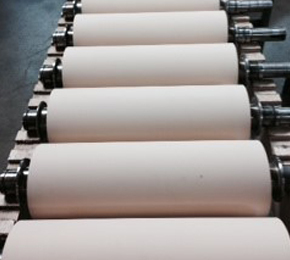 We offer a variety of durometers and colors as part of the production process. Our in-house machine shop can fabricate most custom applications.